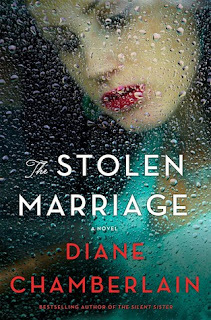 The Stolen Marriage by Diane Chamberlain is a 2017 St. Martin’s Press publication. The story is set in the 1940’s, and is centered around Tess DeMello, who lives in Little Italy, is engaged to Vincent, the love of her life, and hoping to become a nurse. But, when her fiancé leaves town for a while, Tess makes a mistake that effectively derailed all her plans, sending her life into a tailspin. Trapped, and all alone after her break up with Vincent, Tess travels to Hickory, North Carolina and agrees to marry Henry Kraft, a man she barely knows. Not only is living in Hickory a culture shock, but the residents are not exactly welcoming, and neither is her new mother-in-law. But, the most puzzling thing of all, is Henry’s behavior towards her once they are married. Henry is an enigma, harboring deeply buried secrets he refuses to share with his wife. Miserable and looking for a way out of her bleak situation, Tess sees a lifeline when the town of Hickory builds a new hospital in the wake of a polio outbreak. Although Henry is adamantly opposed to his wife working outside the home, Tess puts her foot down, and goes back to school so she can work as a nurse. Yet, Henry’s dual life remains a mystery, until a startling revelation once more changes the course of Tess’s life. I must confess, this story had me worried there for a while. I love historical fiction, southern fiction, and I am a huge fan of this author. When the stellar reviews started to trickle in, I became more and more excited about reading this book. But, I found myself struggling with a few issues here and there and was afraid I may have raised my expectations a little too high. However, after I finished the book and let everything sink in, I understood why this book has had such a profound effect on so many readers. The war backdrop, the polio outbreak, and the racial issues are a potent combination. I must comment on a few of the problems I had with the story, though. I’m slightly confused by the timeline concerning Henry and Tess’s first meeting. Was Henry already deeply involved in the situation that prompted him to seize upon the opportunity Tess’s predicament afforded him? If so, the behavior of both Tess and Henry, alcohol fueled or not, didn't seem in line with their characters and I wasn't totally convinced by their impulsiveness. However, I did understand the author’s intent and she did a magnificent job of getting that point across. It is heartbreaking and unimaginable that someone would have to resort to such desperate measures just to be with the people they loved. While I did have to suspend belief a little in respect to the clever planning, or sheer opportunitistic and quick thinking, that resulted in the freedom everyone so urgently needed, overall, I was happy with the way things worked out. Despite the serious work yet to be done, it is great to be reminded of the medical progress we’ve made, the results of which we almost take for granted now, and the roads paved by women like our brave and resilient protagonist, who fought for the opportunity to work outside the home, and to diversify the career choices women enjoy today. It is also good to be reminded of those awful racial laws, that have since been abolished, because I feel it is important to look at how far we've come, but we should also avoid complacency, and of course, as I said, there is still MUCH work we have yet to accomplish. I am often depressed by the threat of losing all this progress. Once won, we should not have to continue to fight these same battles over and over and over. But, alas, it seems we must and there are still many battles we haven't even fought, much less won. But… this novel also proves that the fight is worth the risk and sacrifice, that we can do better and things can change. So, after some consideration, I found this book to be just the right inspiration at just the right time for me. 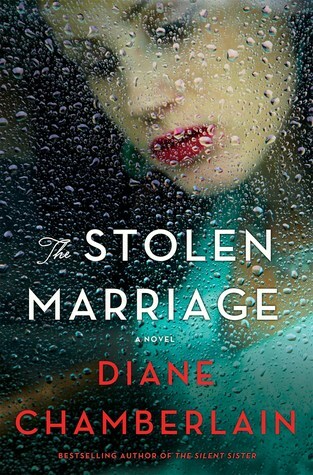 Diane Chamberlain is a great storyteller and once more I have come away with more appreciation for her talent. 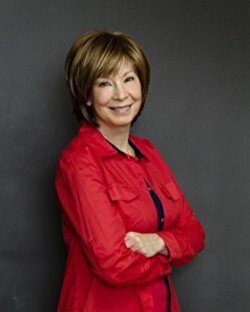 Please visit Diane's website at www.dianechamberlain.com for more information on her newest novel, The Stolen Marriage, and a complete list of her books.